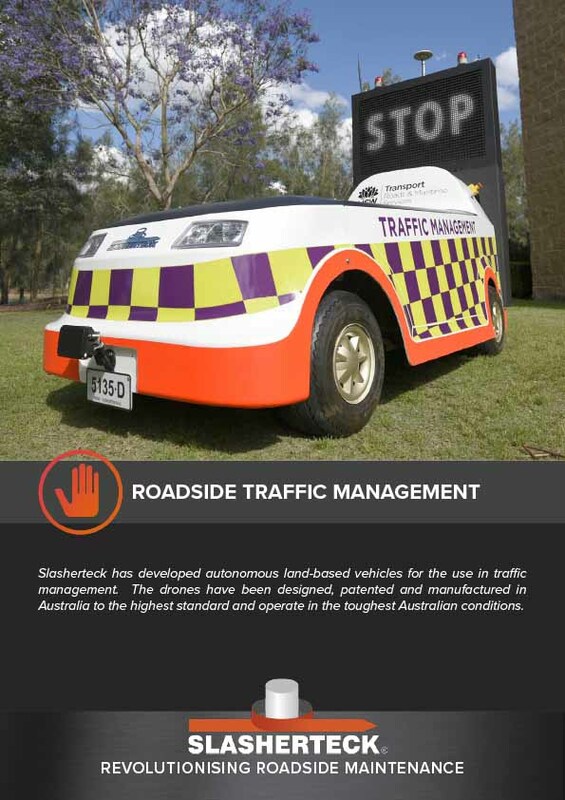 Slasherteck is an Australian company that was created with a single purpose - to Revolutionise Roadside Maintenance. 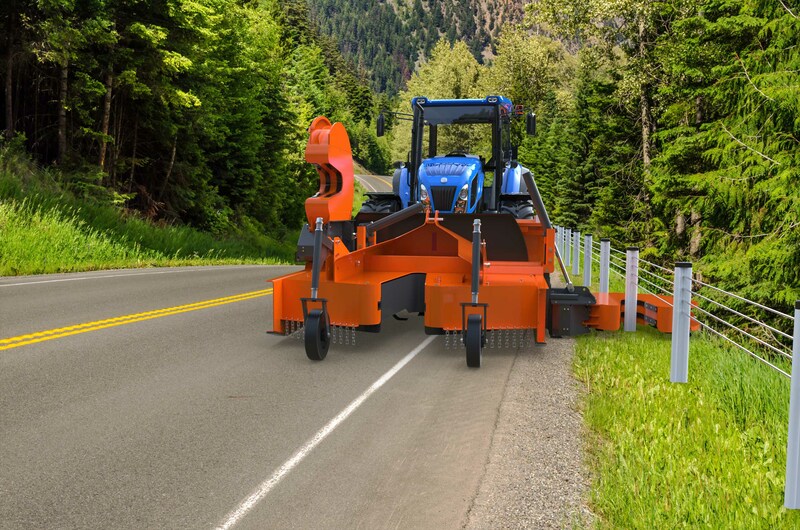 With patented, designed-and-built-for-purpose machinery that spans across Vegetation Management, Roadside Asset Management, Traffic Management and Roadside Rubbish Management. 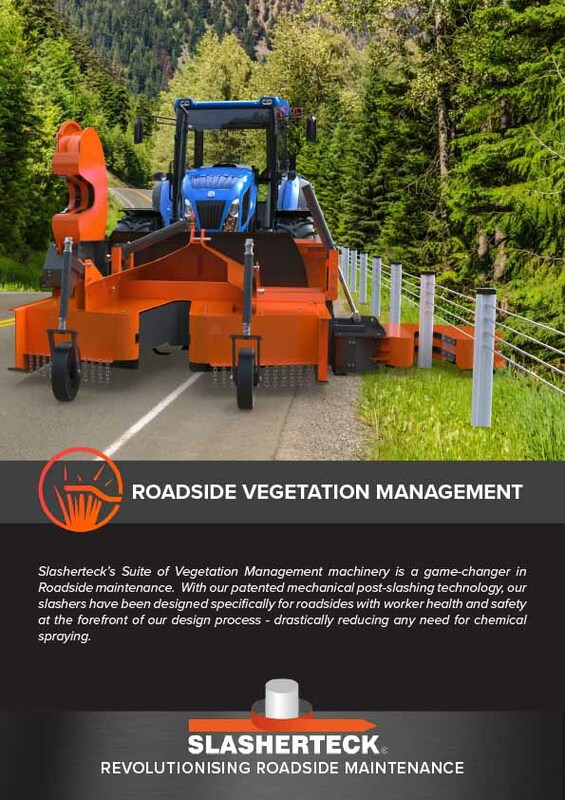 Slasherteck has developed patented machinery that is specifically built for roadside vegetation management. This machinery not only uses technology to increase efficiency and improve WHS outcomes, it also drastically reduces the need for the use of chemical spray. 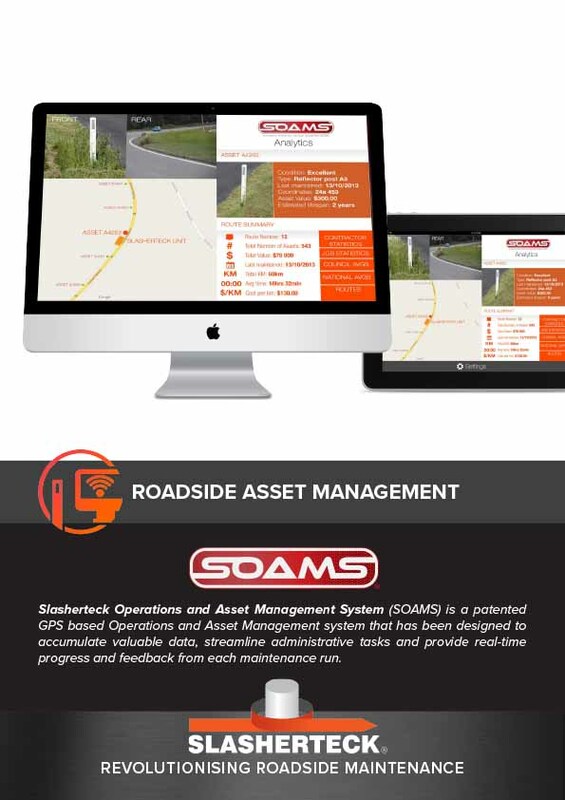 Slasherteck has developed a patented GPS based Operations and Asset Management system that has been designed to accumulate valuable data, streamline administrative tasks and provide real-time progress and feedback with minimal interaction from the operator during each maintenance run. Slasherteck is developing technology to automate the collection of rubbish from the roadside. Watch this space. Slasherteck has developed patented autonomous land-based drones that can be used for either Traffic Management or Security Management. These drones can be used in three separate user modes and can be equipped with a range of additonal technologies. Slasherteck is providing businesses and contractors across Australia the opportunity to obtain a license for the exclusive use of the Slasherteck machinery to provide roadside maintenance and traffic management services within a defined region. These licensing opportunities are referred to as “Slasherteck Operations”. 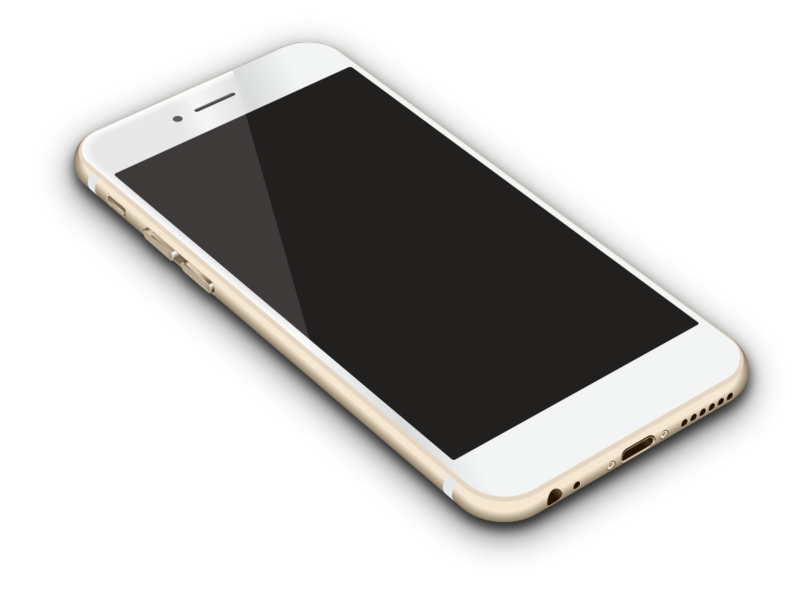 Fill out the pop up form and we'll get back to you within two business days. Our Traffic Management Drones were demonstrated to industry at the IPWEA Annual Conference in the Hunter Valley. 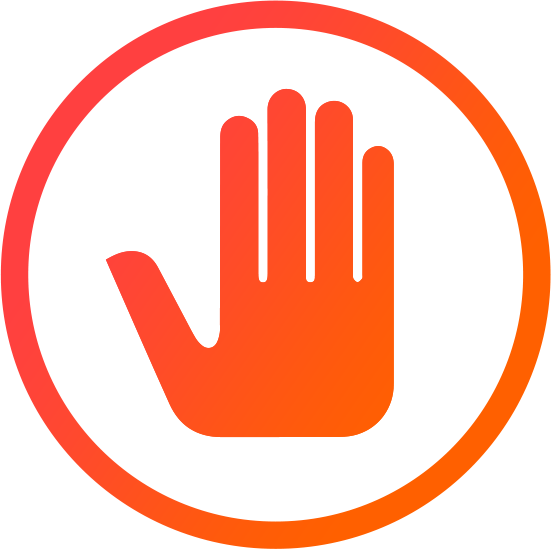 See what industry experts (including the CEO of the IPWEA Australia) had to say about our drones. Our Security Drones are the perfect solution for constant monitoring of large perimeters. With an array of monitoring technologies available, these drones are a tailored solution for any organisation. 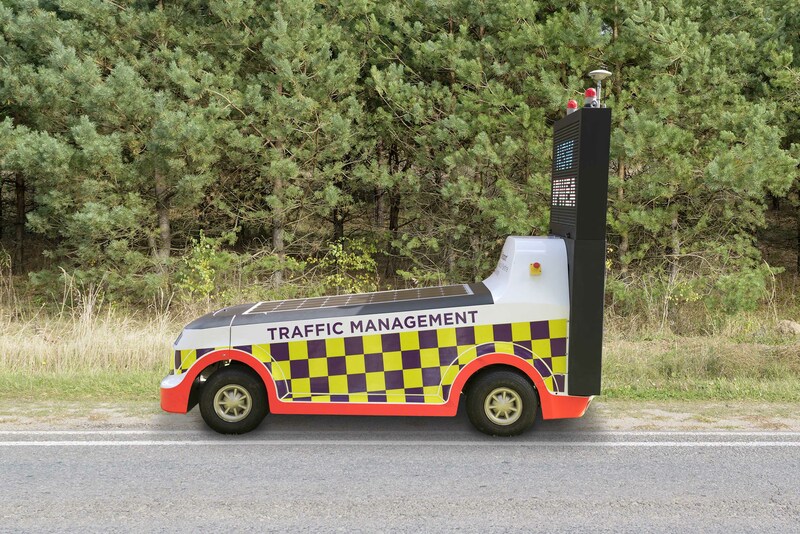 Our Traffic Management Drones are the future of Traffic Management. With three modes of operations, there are clear cost, safety and efficiency benefits over traditional methods. Chemical spray is the traditional method of removing vegetation around posts and areas that are hard to access with conventional machinery. Slasherteck's Vegetation Management machinery has been designed as an alternative to chemical spray, without the inefficiencies (and worker safety risk) of manual trimming with whipper-snippers. Slasherteck’s Vegetation Management System is exclusively available to Slasherteck Operations Service Providers. Get in touch if you would like to be contacted by your local Operations team or if you are interested in becoming part of Slasherteck Operations.